owners is the heat! Chinchillas don't only thrive in cooler weather, they NEED cooler conditions to survive. Chinchillas are from the Andes, and yes, the Andes are a desert environment but not all deserts are hot. 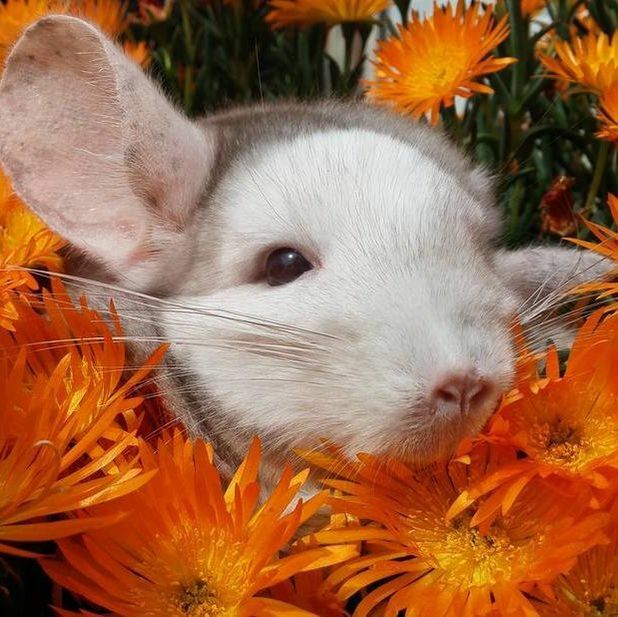 In fact, the rocky area chinchillas come from in the Andes is in the high altitudes where temps range between 50 degrees fahrenheit to 80 degrees fahrenheit; however during those warmer temperatures Chinchillas can be found resting deep within a burrow or crevasse. They will only come out when the temperature drops to something more tolerable. This is also why they are naturally active at dawn and dusk, the coolest points of the day. Click below to read about Heat Stroke! Another important fact is that chinchillas have very dense coats of fur that they wear year round. This coat is what allows them to thrive in cooler temperatures by keeping their bodies well insulated. If chinchillas did not have these coats, they would not be at such a high risk for heat stroke in their domestic settings across the world where we all have very diverse climates. For example, we live in California. During the summer ( this is just the begging of summer for us ) it's expected to reach 112 degrees fahrenheit. Without air conditioning, or Chinchillas would surely suffer and die. 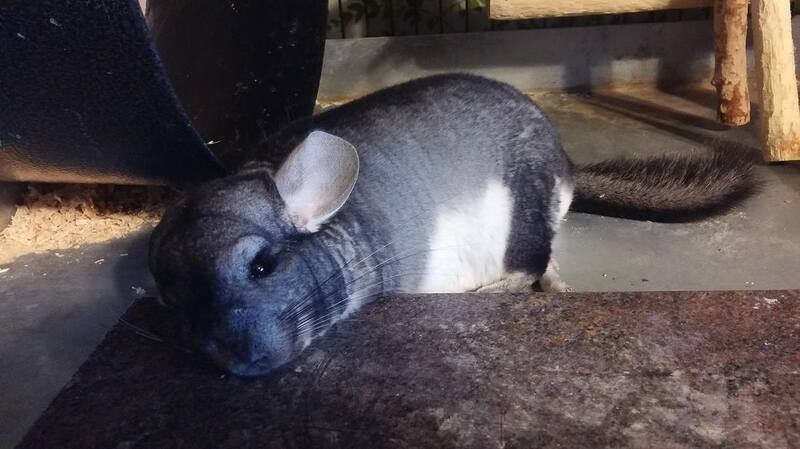 Now that we've roughly explained the climate where chinchillas originate from , and briefly went over how warm their coats are, we hope each of you reading this will understand when we say in order to responsibly own Chinchillas you MUST have a well functioning air conditioning unit in order to ensure your pets overall safety and health during the warmer months of the year. Without it, your pet will suffer and die. During the warmer seasons, you should check on your pets often, as well as your AirCon unit. Keep your eyes out for bright red ears or your pet laying out on their side. 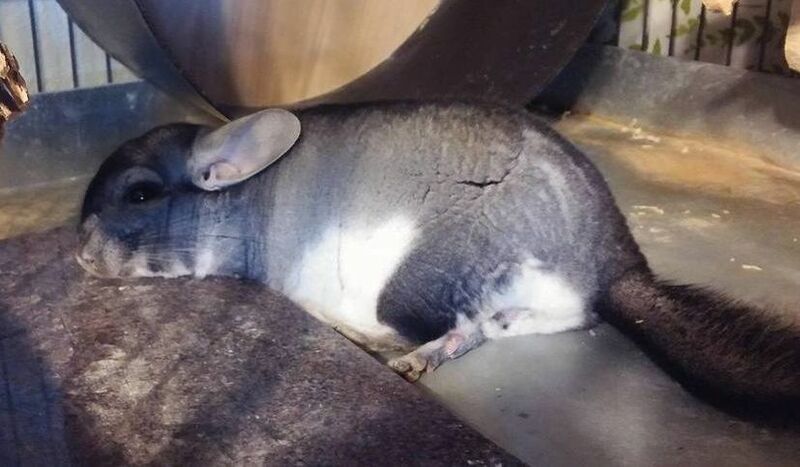 These are common signs of a Chinchilla who has gotten too warm. If your pet becomes lethargic you need to lower their core temperature right away. If your pet becomes unresponsive, you need to see a vet right away. What can I do if my pet becomes hot? Understand that nothing we mention down below is a substitute for Air Conditioning, but sometimes you need to act quick due to an emergency or because you want to supplement your air conditioning. Again, NOTHING below is a long term solution or substitute for not having an AC. Using any method below without an Air Con running may result in the loss of your pet. Ringworm is also a risk during the summer if you live in a humid area. Warm/Hot moist air will penetrate your pets fur creating a breeding ground for ringworm. Check our MEDICAL section to read about ringworm, how to treat and prevent it. Try to take your chinchillas to a friend or family member's home where they can safely stay cool until your AC can be replaced or repaired. If that is not an option, consider boarding your pet with your vet. They can provide proper care ( help them understand your pet's care ) and the proper temperature for your pet. If your AC will be repaired soon, put your pet in a Chinchilla safe carrier and use your car's AC to keep them cool. Below are some more supplemental ideas which, again, does not replace the need of a working Air Conditioner. These are only short term solutions. One of the more common tools used to help keep chinchillas cool are granite or marble tile slabs. They are sold at the petstore as " Chin Chillers " or you can purchase a 12" x 12" square tile for approx. $3.00 at a common home improvement store like Home depot or Lowes. These tiles are used to help keep chinchillas cool because when chilled in the refrigerator or frozen in the freezer, they will remain cool for about 30 minutes. You can even leave them in the cage and they will generally stay a little cooler than the room they are in. 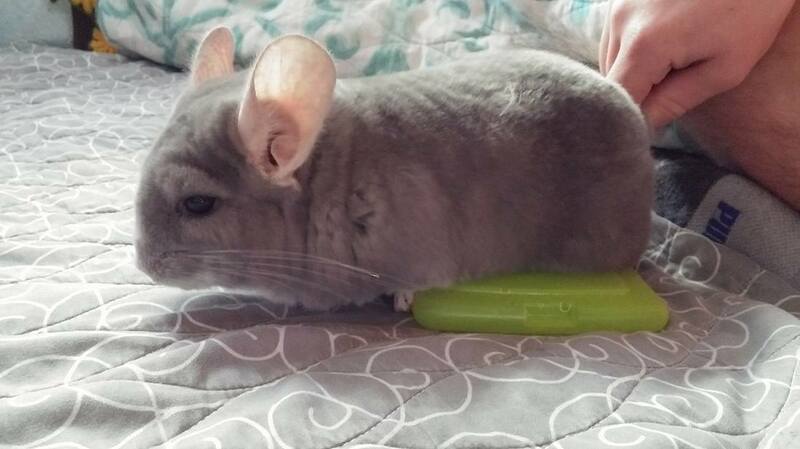 This is great if you've noticed your chinchilla has over worked themselves and is laying out trying to cool down. The downside is that they only cool whatever surface they are in contact with. Think of it this way, If you wrap yourself up in a warm thermal blanket you will be warm and toasty... then you stand on a tile floor. Your feet will feel nice and cool but the rest of your body will still be warm. Even if you lay on that tile floor, you are still wrapped in a thermal blanket, so you will still be warm. The only relief you get from the cool tile is where your skin is making contact with the tile. Another common issue is that owners think this is a good substitute for Air Con. It is not, the tile will not lower the overall temperature of the room nor will it have a lasting cooling effect. 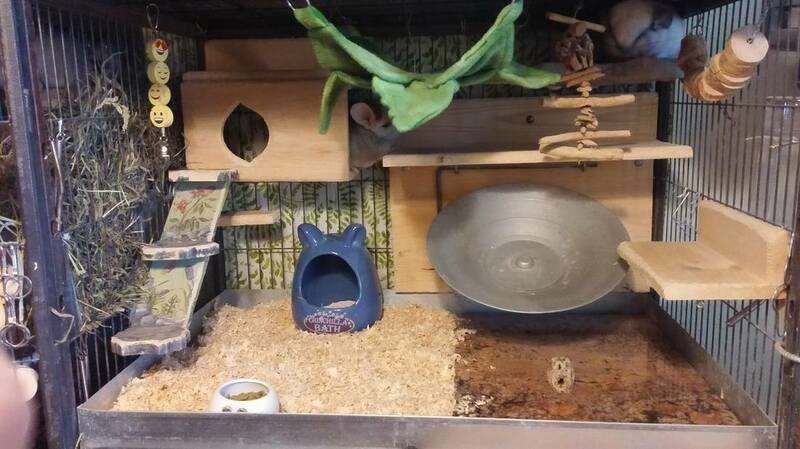 Envy and Grumpy's cage has a large marble slab taking up about 4/6ths of the cage. It is left there during the summer. There is also Air Con going 24/7. Fans generally will not work. A fan is only good for circulating air, so combined with an Air Con or other cooling source a fan may help circulate cool air, but alone it will do nothing for your pet. ​Fans help cool us by blowing air that evaporates sweat or moisture off of our skin. This creates a cooling sensation for us. Chinchillas and several other small pets do not sweat, so when used alone, all a fan will do is blow around hot air. Consider boarding your pet at your vet's office, with a rescue, or breeder, until your AC needs are met. This will help ensure your pet is kept safely, and allow you to focus on getting things back to normal at home without stressing whether your pet will be okay or not. If you do not have tile slabs you may have a ice pack, jel pack, or even frozen items like chicken nuggets in a bag, peas, veggies, etc in the freezer. You can use these items to help lower your pet's temperature. Again, it is no substitute for an Air Conditioner but it WILL help aid in cooling your pet enough to get them stable. Once, while Tony was still with us, we had to physically run to the emergency vet that was .2 miles from our home, in the middle of a late summer afternoon... We threw ice cream and pork chops in a fleece towel and put him on it. It got the job done. Once those items warmed up though, they would no longer help. So if you're trying this out, we recommend a layer of fleece between your pet and whatever item you choose to use just encase they try to nibble. A home made or temporary AC unit can be used in an emergency. These generally involve a bucket, large frozen bottles of water or a bunch of ice, and a desk fan. They will not cool an entire room, buy they will help cool a space by the corner of the room. They will only work while there is ample ice, but they will also pump moisture in the air so your risk of ringworm does go up. We have not tried this method, but try googling " home made bucket AC " and take a look. If your pet is warm, you can put them in a Chinchilla safe carrier or bowl, and place them in a cold refrigerator to cool them down. You will have to leave the door cracked so oxygen can circulate as well as supervise so your pet does not chew something dangerous. The same method can be used with a freezer but note that you do not want to cold-burn your pet. Theres two parts to this one. Water plays a big part with keeping bodies cool and hydrated. It's important that you keep your pet's water bottle full and filled with room- temperature to cool water. Always check that your bottle is working properly, at least once a day. The second part with water is using it to cool down a severely over heated animal. The risk here is causing your animal to go into shock. If you pet is beyond cool slabs, and reaching the vet within a reasonable amount of time is impossible, you can hold your pet under some cool running water. NEVER allow their head to go under. Keep the water cool, but not cold. Going into chilled water may put your pet into shock. The downside to this is that your pet will have to be dried well after and you will have to watch for ringworm. We do not want it to come to cool rinses, and it is certainly for emergencies ONLY. Remember to never leave ice packs or frozen water bottles unsupervised in your pet's cage, they may chew them. We want you and your pets to feel safe and cool this summer. We're happy to help out local owners during an emergency, just email us at ambers.lets.love.chinchillas@gmail.com or better, send us a message on our facebook page. Understand the above suggestions are only to be used as a supplement and never a replacement to a traditional Air Conditioning Unit. Air Con is one of your pet's NEEDS and if you feel you cannot provide that for a Chinchilla, you may want to reconsider purchasing or owning one. For their well being.